Sam Stosur has continued her winning ways at the WTA Qatar Total Open in Doha, defeating dangerous Russian Svetlana Kuznetsova in straight sets. The 6-4 7-5 win sends Stosur into the quarterfinals of the Premier 5-level event, where she will face Maria No.3 seed Maria Sharapova. Sharapova took her place in the final eight after seeing off the challenge of Czech Klara Zakopalova, 6-3 6-3. Stosur reached the final in Doha last year, and kept up her good form in the Middle Eastern city with the one hour, 35 minute win over Kuznetsova, who’s enjoying somewhat of a career renaissance in 2013. A former world No.2 and two-time Grand Slam champion, Kuznetsova fell outside the top 70 after an injury-marred 2012 – her first non-top 50 finish in 11 years – before recovering in Australia to reach the quarterfinals at both Sydney and the Australian Open. 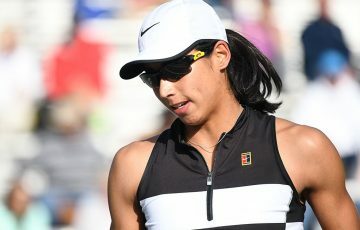 Yet she was never able to make any impact on Stosur’s renowned serve – the Australian landed 71 per cent of her first serves, won an impressive 63 per cent of points behind her second delivery, and saved seven of the 11 break points she faced. 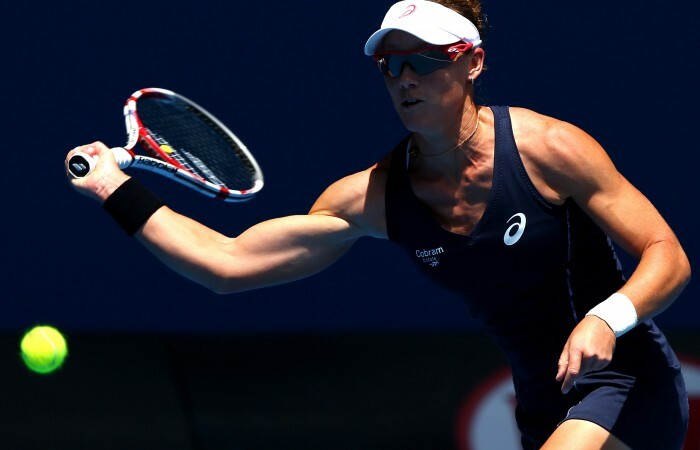 The win improved Stosur’s head-to-head against the Russian to 2-3. 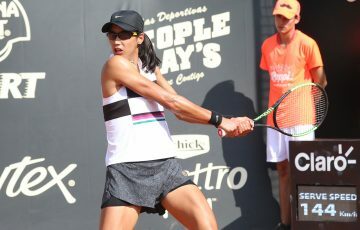 She’ll need to work hard to improve her career record against Sharapova – another Russian – in her next match, as Sharapova leads the head-to-head 11-2 and won their last match in Istanbul 6-0 6-3.